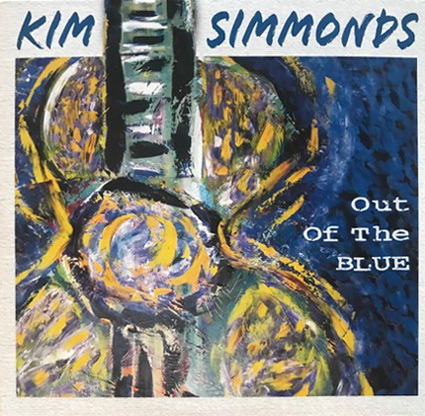 Due to popular demand, the Kim Simmonds solo acoustic album, “Out Of The Blue”, originally released in 2008, will be re-released in 2019 on Panache Records. In the meantime, advance signed copies will be immediately available on the merchandise page. Go to https://www.savoybrown.com/store/ to pick up your copy. “Out Of The Blue” provides an intimate experience for lovers of acoustic blues and Americana music. There are eleven great Kim Simmonds’ songs in addition to a bonus hidden track! The album cover art consists of one of Kim’s guitar paintings.